Home » international news » India can learn from Rwanda! Seriously? 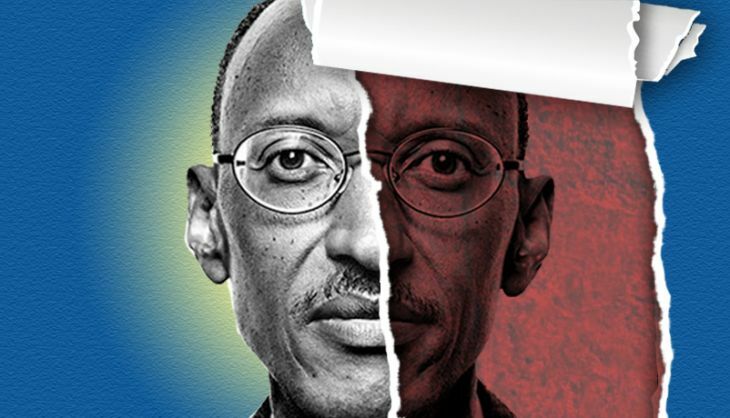 What can India learn from Rwanda whose GDP is less than 0.5% of India's... dictatorship? Sourjya Bhowmick exhorts "India can learn from genocide-torn Rwanda's amazing progress". What is India to learn from Rwanda, a country with a population less than 1% and GDP less than half a percent of India's? That "acts of genocide" can be perpetrated within the country and in neighbouring countries? That poverty statistics or business indices can be fudged, or that party and state crony capitalism, financed in part by liberal amounts of external grants and privatization of public assets, be marketed as sign of progress? Whatever the marketing hype be, even a recent World Bank (WB) staff report on Rwanda concludes: "growth outlook is not entirely bright". There was nowhere to go but up after 1994, even 2004, but it may now be difficult to party on foreign money. The WB report also cautions about "a likely decline in aid in the coming period". The dominant narrative - controlled by a repressive regime that has turned murderous - of the 1994 "acts of genocide" and post-1994 Rwanda is coming under attack. And the West has professed ignorance. The BBC has questioned the blame laid on domestic ethnic Hutus for some 800,000 killed, mostly Tutsis, within Rwanda between April and June, 1994. A United Nations report implicated the Rwandan Army and Paul Kagame in the killings of as many or more in eastern Zaire/Democratic Republic of the Congo from July 1994. Evidence that acts of genocide within Rwanda had links to Kagame and his invading army prevented convictions at the International Criminal Tribunal for Rwanda. The President of Rwanda could be tried for war crimes and human rights violations when he no longer is the head of state. That is, if he is ever not the head of state. Kagame is supposedly a massively popular leader. Allegedly, he "rules with an iron hand" and runs "a well organized security apparatus and spy system" that has delivered him enough signatures from his subjects to force through a parliamentary change of the Constitution to win a third seven-year presidential term. He has been vengefully persecuting dissidents and former staff and colleagues. Disappearances, arbitrary or unlawful killings, and torture are common and the citizenry quietly and nervously suffers the terror of the state apparatus. A former intelligence chief was murdered in South Africa, and Kagame ordered the killing in police custody of his own personal physician of 11 years, a cardiologist and public health leader of immense repute and impeccable integrity. Terror is also the regime's method against daring non-Rwandan journalists. The sudden death of a BBC reporter of Ghanaian origin is suspected to be the act of Rwandan government agents, and Rwandans in Canada have been subject to harassment and threats by its spies. The former Rwandan ambassador to India, an ex-chief of Rwanda Army and allegedly a war criminal, is in self-exile, as is another former chief of staff. Several ex-ministers and senior staff have been thrown in jail on charges of corruption. The man called King Paul by the Economist has no qualms issuing threats or confronting a sceptical press. As the New York Times reported: "Shortly after his former intelligence chief was found strangled in a Johannesburg hotel room last year, Mr. Kagame denied involvement but warned - at a national prayer breakfast - that anyone who betrays Rwanda 'will face the consequences'. His government suspended BBC broadcasts in the local Kinyarwanda language in 2014 to protest a documentary hostile to Kagame. The chairman of the US House Foreign Affairs Committee has noted Kagame's "violent rhetoric and the slaying of dissidents abroad". In May hearings before one of its subcommittee, the acting assistant secretary of State admitted that the trail of responsibility for assassinations of opponents as well as a loyal and trusted staff (Emmanuel Gasakure, Kagame's personal physician) reached all the way to the top. The US State Department has cited Rwanda's example for disappearances, arbitrary or unlawful killings and torture. Human Rights Watch has also accused the regime of "detention for the homeless, hawkers and other undesirables"; this is how Kigali is made to look clean and pretty. Indians may learn that propaganda and marketing have limits. Truth has an inconvenient property of coming out eventually. Plans of the 1994 genocide were known in advance, to the Rwandans everywhere and the diplomatic staff in Rwanda. The West looked the other way and then shed crocodile tears at what was supposed to have happened "never again". India has maintained friendly relations with regimes implicated in mass murders and will probably continue to do so. Indians may also learn to fear that rhetoric of "development" can lead people to blind alleys they cannot escape or return from. That politics is globalized and even former heads of state such as Bill Clinton or Tony Blair, or their spouses, are suspect as to their motives and their services.